The future of learning how to play guitar. A fun way to learn guitar. 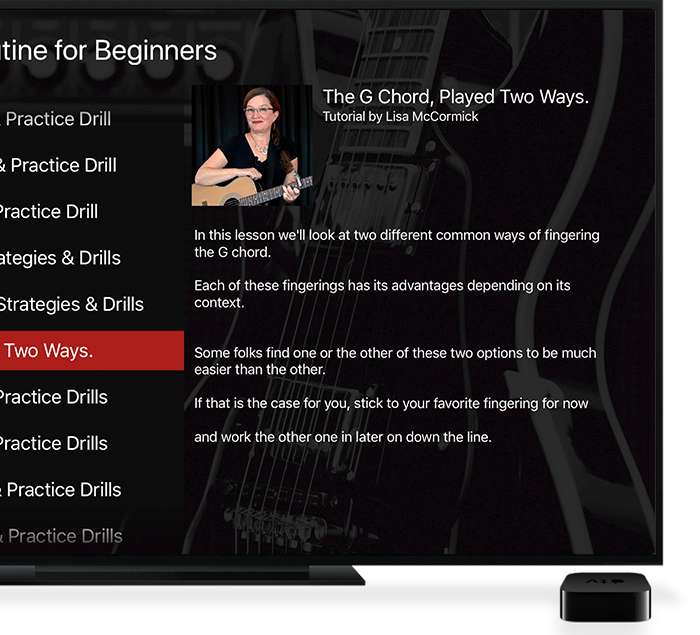 The Guitar Tricks® Core Learning System isn’t like anything you’ve ever seen before. Every lesson is linked in a step-by-step sequence and designed to make learning easy and fun. Even people that have never held a guitar before will be making music from day one using the smartphone device of their choice or from the comfort of their living room using Apple TV. Learn where you want, how you want. 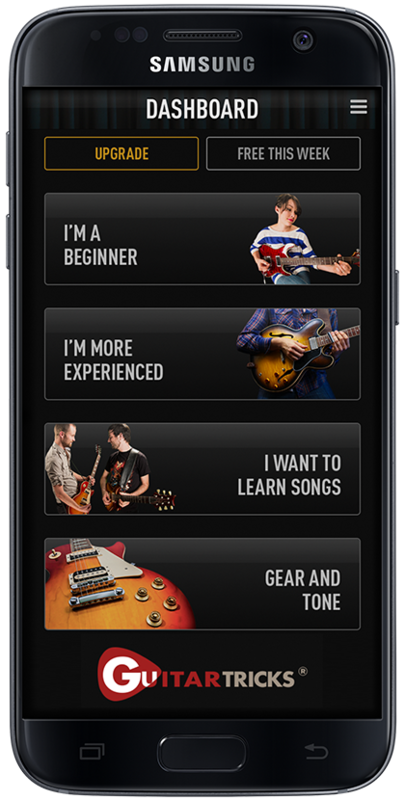 To provide future rock stars the ability to pick and choose the location and device for their next lesson, Guitar Tricks was developed to work on web, iOS, Android, and tvOS (Apple TV). 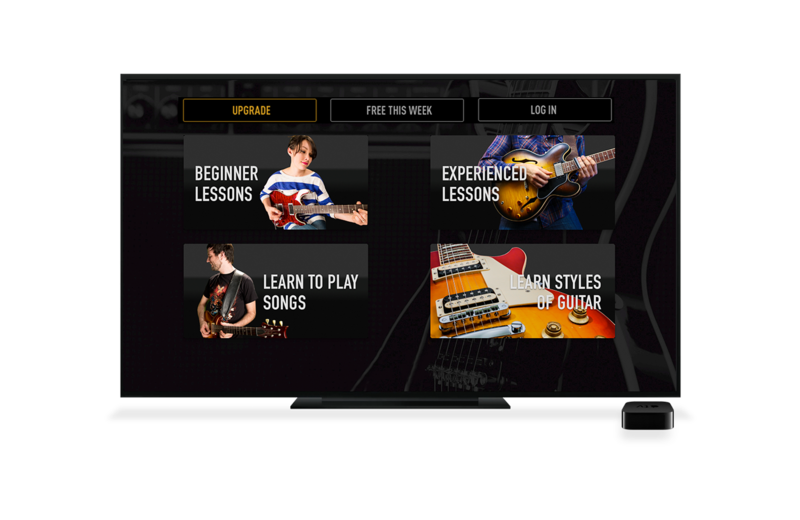 When the next generation of Apple TV was introduced, Guitar Tricks approached us to bring their award-winning guitar teaching platforms right into the living room of its students by creating one of the first apps ever to be available on tvOS (Apple TV). A continuous growing stream of content allows users to continue their learning progression with fresh songs and materials. Users can also leverage multiple devices to cater to their current setting or particular environment. In a recent survey, Guitar Tricks®’s members said they learned 50-100% faster than with other learning methods.